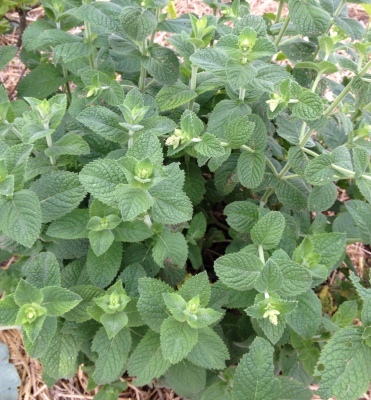 One of the best cold-hardy ground-covers, apple mint has an apple-menthol flavour that makes a very nice tea. It also makes a nice addition to salads. Native to Eurasia, this mint also acts as a good bee plant and shelter for beneficial insects. We’ve planted ours in a pot, which we’ve buried in the ground to stop it from spreading.